Angourie Beach is located just south of Yamba and is one place you must visit when you stay in the area. In 2007, Angourie Beach was the second beach in Australia to be recognised as a National Surfing Reserve. This title has made Angourie Beach a sacred site to Australian surfers. Surfers began visiting Angourie in the 1960s but it wasn’t until recent years that it began to become popular. Because it is bordered by the Yuraygir National Park, Angourie Beach has remained a pristine environment and is undoubtedly a must-see beach. There are a number of stunning walking tracks, beaches and picnic areas around the area making it the perfect day-trip destination for the whole family. The small town now has its own restaurant and general store, but it is the natural environment that is the true attraction. The area around Yamba and Angourie has been declared by a number of scientists as having the best climate in the world making surfing possible all year round. 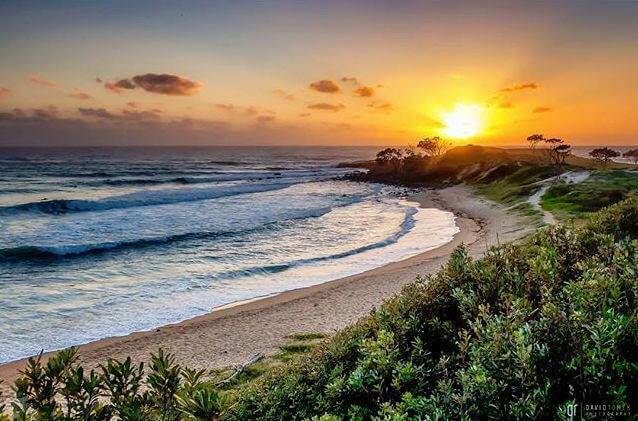 Don’t miss visiting Angourie on your stay in Yamba! Book a holiday apartment with The Cove Yamba today.